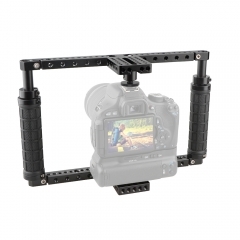 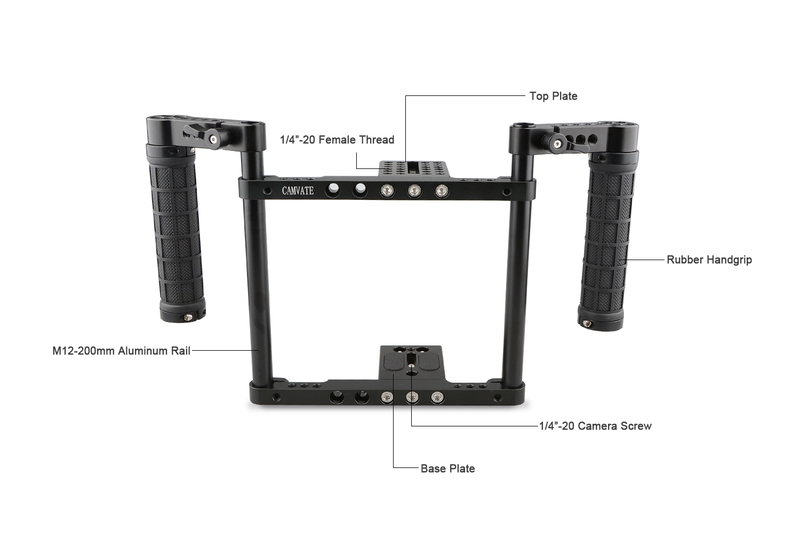 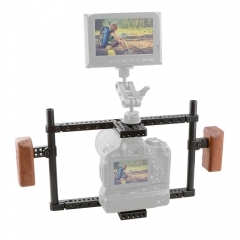 It is a univeral handheld cage, compatible with Canon 60D,70D,80D,5D MarkII,5D MarkIII,5DS,5DSR, 50D,40D,30D,6D,7D,7D650D,600D,550D,500D,450D,760D,750D,700D,100D,1200D; Nikon D3200,D3300,D5200,D5500,D7000,D7100,D7200,D300S,D610,DF; Sony a58,A99,a7,a7II; Panasonnic GH5/GH4/GH3/GH2. 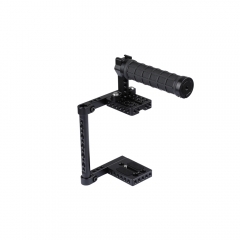 The ball head mount and cold shoe included allow adding accessories such as monitor and microphone. 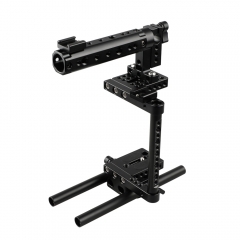 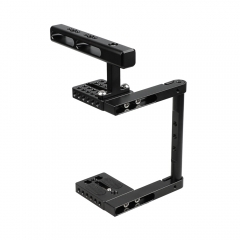 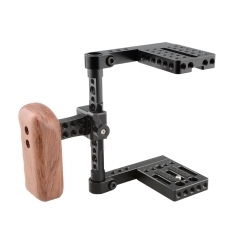 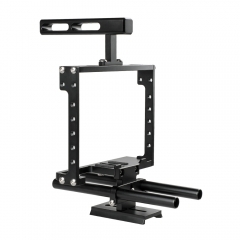 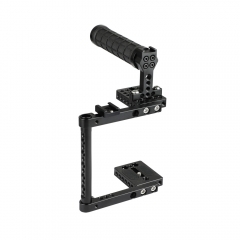 In addition, the handgrips with rod clamp connectors could be adjusted horizontally in different positions, and provide abundant room for comfortable holding.